All this talk about `passports` I realised mine was out of date! Does this make me a `Stateless Person`? HH better to stay here in our beautiful N.I. We have it made-even the weather is getting better! Indeed Jilly .. Thats was the point i was going to make .. who would want a passport anyway .. who would want to leave here at any time .? ever ! ? .. Nowhere man will correct me if I'm wrong Dot, but he may not have been born in Ulster or the Republic of Ireland, and or may not be a resident of Ulster or the U.K., and if so the Irish passport fees may differ between U.K. residents and citizens/subjects, and overseas resident U.K. nationals,... and between overseas residents who weren't born in Ireland or the U.K. but who are entitled to an Irish passport by descent from an Irish born ancestor. 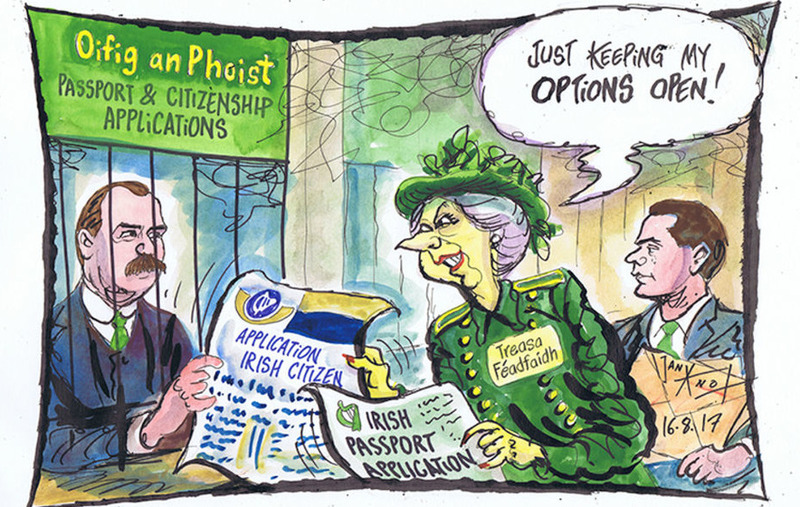 There are a lot of variable factors involved both in rights to apply for and hold a particular passport, whether a British or an Irish passport, and with the consular assistance that will be provided and or accepted if needed, in a particular visited country, depending on which passport was used to enter that country,... and in the case of Irish nationals who apply for and hold a British passport, whether they hold and are listed in their British passport as having British subject or British citizen status. The Ulster born and resident woman and her American born husband, who are both resident in Derry/Londonderry/ Doare,... have found that out and are now in legal dispute with the British government about their situation. Ah yes dual citizenship. How many supporters of Sinn Fein / IRA are going to obtain a British passport in order to give them dual citizenship ? I see they are giving them to any old Seamus, Mick or Mohammad. Perhaps its a question of Identity or perhaps more convenience. and some of them are entitled to all. Apparently several members of the DUP have one (cant think why ?) and apparently some high ranking loyalist ex paramilitaries have one. But I wonder how many Sinn Fein / IRA members have a British one, or even admit to it.